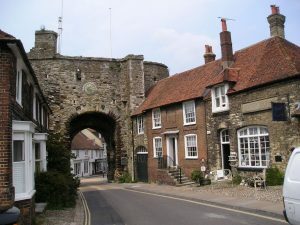 There are so many places to visit during your stay at Stream House B&B Rye. 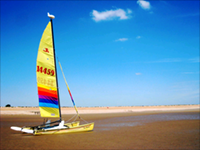 We will happily advise visitors on places of interest and outstanding natural beauty in the area. 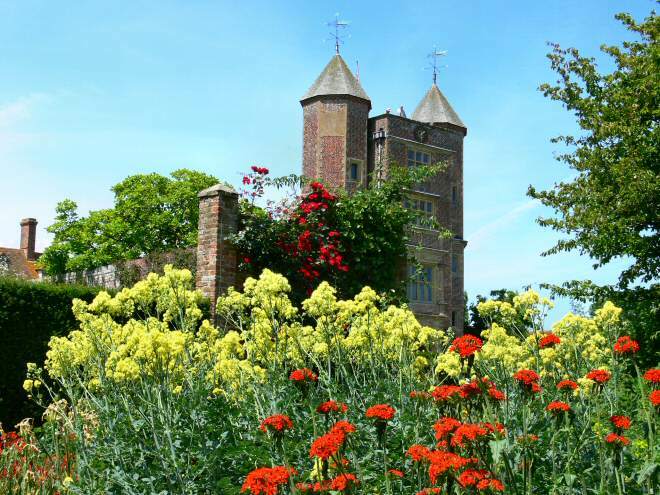 We take pleasure in helping guests discover the best places to visit in Rye, Hastings and the East Sussex & Kent countryside – many of which are only known locally. You will find places to visit for people of all ages. Step back in time in medieval Rye with its enchanting cobbled streets (such as Mermaid street) and beautifully preserved historic houses. Visit the redbrick Lamb House once owned by writer Henry James. 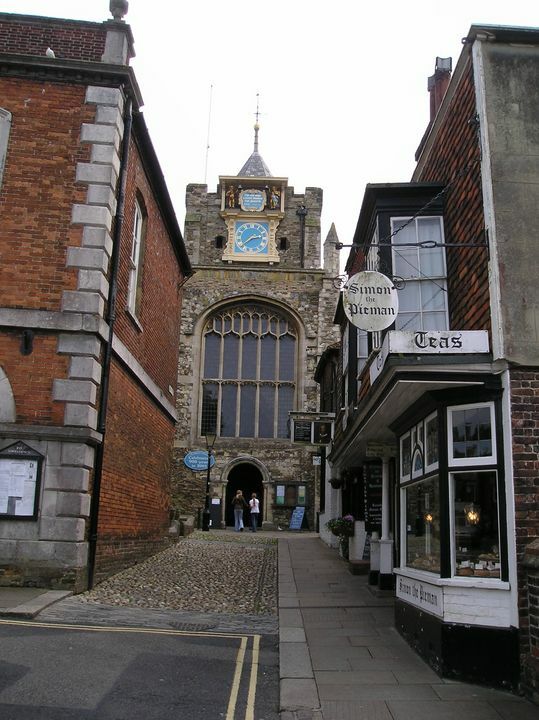 St Mary’s church in Rye is a popular destination for visitors to Rye who come to see the oldest functioning church turret clock in the country which dates from 1561-2 and has an 18ft long pendulum. 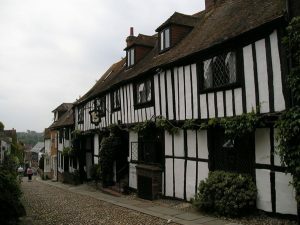 For 900 years, St Mary’s has dominated the hill on which the old town of Rye stands. It has stood through good times and bad. This large amusement park is the premier outdoor entertainment facility in Hastings. Featuring a wealth of white knuckle rides including roller coasters and waltzers it attracts a great many tourists during the summer months. 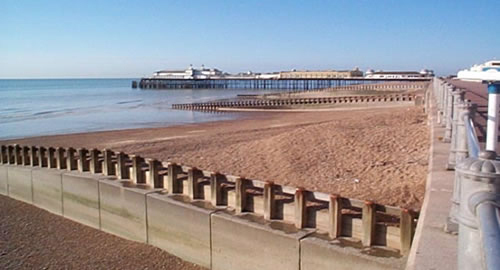 Conveniently located in the centre of Hastings, close to the sea, the facility operates a pay per ride system so you can visit for as long or as little as you wish. The beach trampoline complex is an extremely popular facility. It has several large scale trampolines that can be hired by children to play on and practice their skills. The trampolines are rented on a short term system and there is no need to book in advance. Adequate facility for adults to watch. Located at the very heart of Hastings just a few metres from the beach, this boating lake has for generations been a fun facility for locals and tourists alike. The lake offers great sea views and is now populated by interesting oversized swan boats that you can peddle around. The facility is popular with young children and families. Blue Reef Aquarium has an octopus that can unscrew jam jars to get at the food inside! Guided tour of the Aquarium available. Step back in time though mysterious tunnels and caverns. Discover the dark secrets of the smugglers. 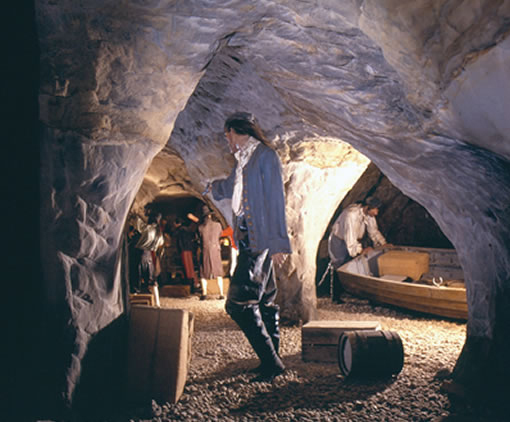 Join notorious smuggler ‘Hairy Jack’ as he leads you through acres of underground caverns, passages and tunnels on a voyage back through time to the heyday of smuggling. With three hearts, blue blood and the ability to change both its shape & colour. 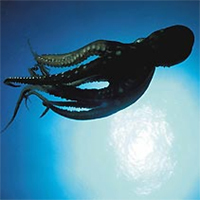 Little wonder that the octopus has amazed and terrified mankind for centuries. 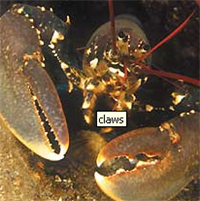 Less well known is that they are among the oceans most intelligent inhabitants. Capable of solving complex puzzles and tests of memory. Picture postcard views with countryside and coastal walks only a few minutes walk from Stream House B&B Fairlight. For those seeking seclusion a walk along the cliff opposite the house leads to a lovely cove at Pett Level Beach. Just a few minutes walk from Stream House B&B, the Fairlight-Hastings Country Park stretches for over 3 miles(5km) westwards to Hastings. Over 267 hectares of ancient woods, heath and grass land together with dramatic cliffs and coastline. 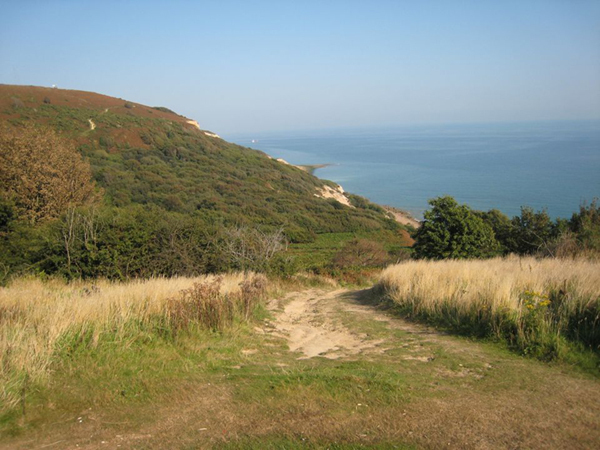 Fairlight-Hastings Country Park is located within the high Weald area of outstanding natural beauty. Most of the park has been designated a conservation area, a site of special scientific interest and is a proposed local nature reserve. 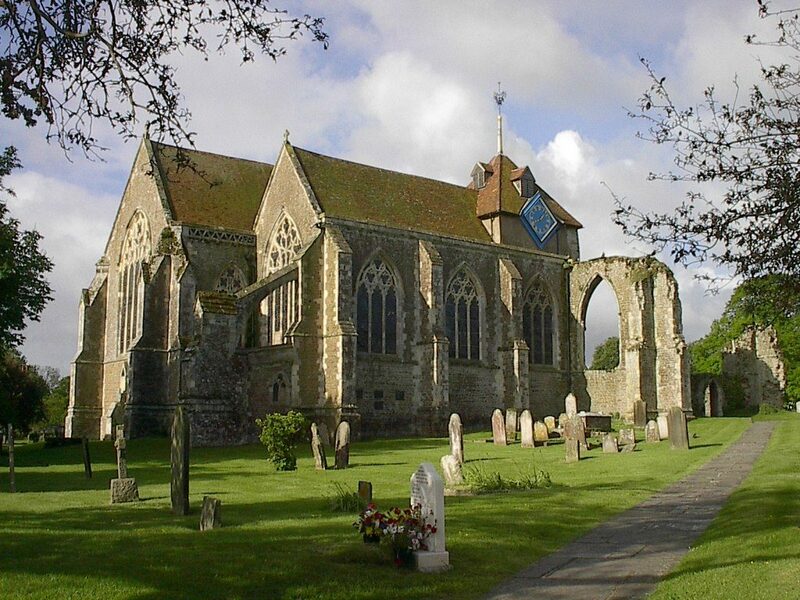 Winchelsea is a beautiful Sussex village built on the bones of a medieval town. It is a hidden delight for visitors to discover. Add this to your places to visit list during your stay at Stream House B&B. Well worth a visit – even for a day. 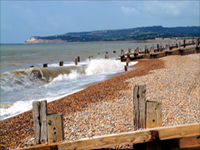 Tale a stroll around this beautiful Sussex village or seek out Winchelsea’s fascinating history by following one of the recommended walks. – St Thomas the Martyr 13th century church. – Three medieval gates, standing guard against long-departed foes. – Hidden wine cellars of the old port town. Visit the spectacular open gardens in June and July. Go to www.winchelsea.net/visiting/events.htm for further information. 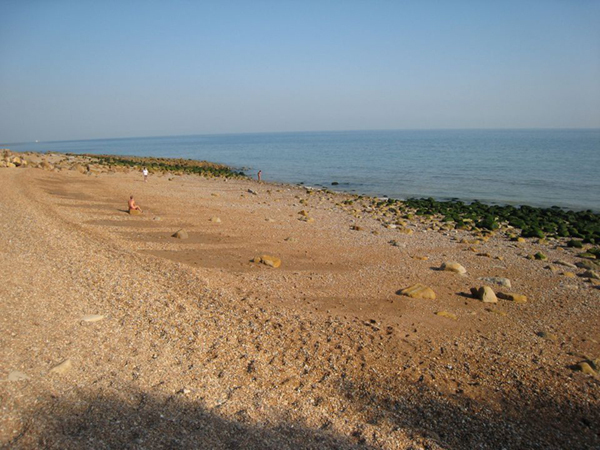 Winchelsea Beach has a clean beach award. The beach is all shingle during high tide when swimming is safe. At low tide the beach is sandy (past the shingles) which makes it ideal for walking. How to get there: Turn left out of Stream House B&B. Follow the coastal road on Pett Level Road (just over 3 miles). Postcode for Winchelsea Beach is TN36 4NG. Miles of white sand backed by picturesque dunes offering peace and seclusion. 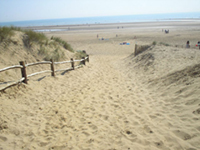 Camber Sands is an easy drive from Stream House B&B. Ample car parking at the end of Old Lydd Road. Facilities include cafes, seafood, restaurant, pub, gift shops + public toilets. 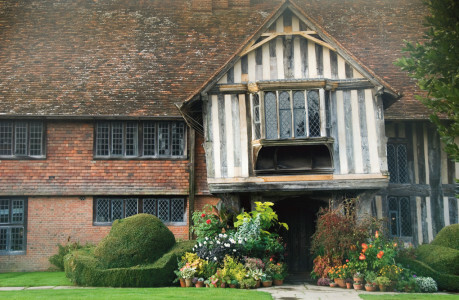 Great Dixter is perhaps the most famous garden in England. Home of the late gardener and writer Christopher Lloyd. It was the focus of his energy and enthusiasm and fuelled over 40 years of books and articles. Great Dixter is daring and experimental, but always elegant. Even if you know absolutely nothing about gardens, you’ll enjoy wandering between all the different parts of the grounds, each with its own striking identity. 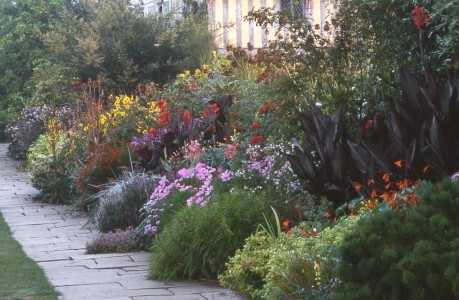 Go to www.greatdixter.co.uk for further information. One of the world’s most celebrated gardens. Created by writer Vita Sackville-West and her husband Sir Harold Nicolson. Intimate setting in the grounds of an Elizabethan mansion. Romantic little compartments filled with colourful floral displays. Lakeside and woodland walks open all year. Lovely unspoilt Wealden countryside. Address: Biddenden Road, Cranbrook (in the Weald of Kent). Postcode: TN17 2AB. Location: 2 miles north east of Cranbrook. 1 mile east of Sissinghurst Village. Website: www.nationaltrust.org.uk/sissinghurst-castle-garden for more information. 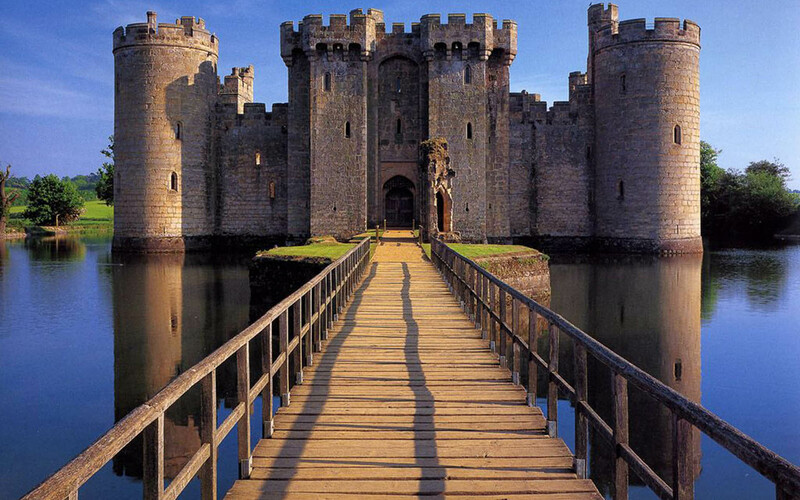 Bodiam Castle is one of Britain’s most famous and evocative castles. A moated castle near Robertsbridge. Built in 1385 by Sir Edward Dalyngrigge, a former knight of Edward III, with the permission of Richard II. Medieval battlements, ramparts and moat to explore. Try on armour (on selected days during school holidays). Address: Bodiam, Robertsbridge (East Sussex). Postcode: TN32 5UA. Carr Taylor Fine English Wines since 1971 in Westfield, East Sussex. Visit the Vineyard, Winery and Shop. Address: Wheel Lane, Westfield, Hastings. Postcode: TN35 4SG. Location: Just outside Westfield Village near Hastings. Climb the tower of the old lighthouse at Dungeness for panoramic views over the English Channel and surrounding countryside. Well worth a visit – bring your binoculars. Learn how a Lighthouse works, and about the men that used to operate it. Reward yourself or your family with a certificate of a successful ascent. Free car parking at Dungeness. There is a Cafe restaurant and local public house within a few minutes walk. 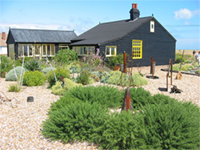 Whilst visiting the Lighthouse, a ‘must see’ is Derek Jarman’s Garden at Prospect Cottage. Created by film maker Derek Jarman who died in 1994. Favourite places to visit: Derek Jarman’s garden and the Lighthouse then take a return trip on the Steam Railway. A Great Day Out! 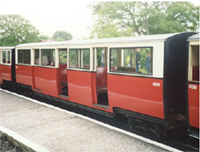 One of the favourite places to visit is Romney, Hythe and Dymchurch Miniature Railway. The Railway is probably best known for its superb fleet of one-third full size steam and diesel locomotives. Built to run safely at speeds of 25mph on rails only 15 inches apart. All the steam locomotives were built between 1925 and 1937. The Romney, Hythe and Dymchurch Railway is Kent’s mainline in miniature. First opened to traffic in July 1927 as the ‘World’s Smallest Public Railway’. And now covers a distance of 13.5 miles. From the picturesque Cinque Port of Hythe (near the channel tunnel) to the fishermens cottages and lighthouses at Dungeness. 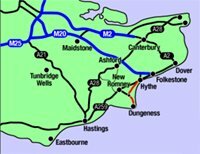 The red line on the map above shows the route for the steam railway – Hythe to Dungeness. The red spots on the map above show all the railway stations en route. Info: St Mary’s Bay has a beautiful sandy beach – kids love it! There are so many places to visit during your stay at Stream House.